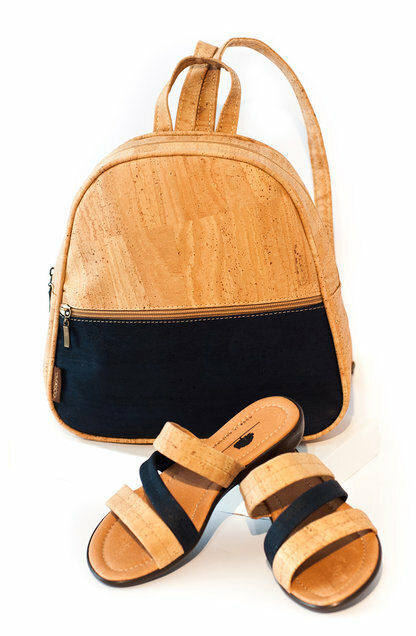 Cork Set: Elegant Women’s Sandals and a comfortable backpack. Color: natural with dark blue. 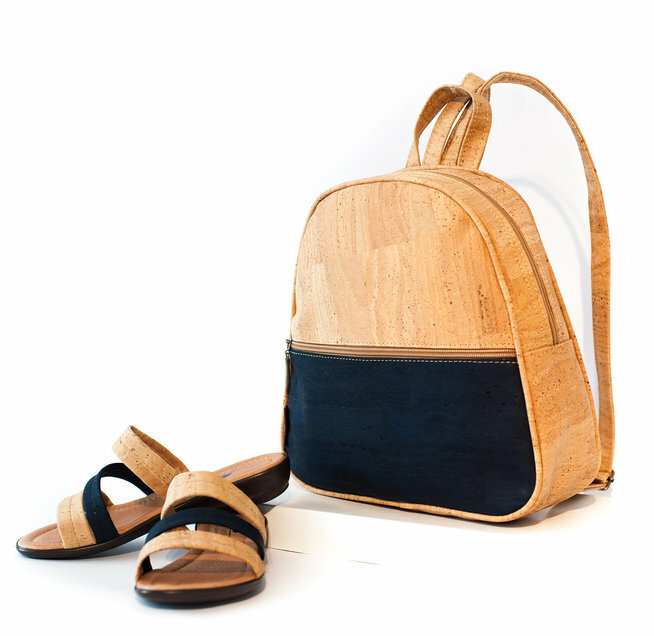 It has two shoulder straps and one small handle. The length of the straps is adjustable. It is fastened with a zipper. On the front side there is a large zip pocket. 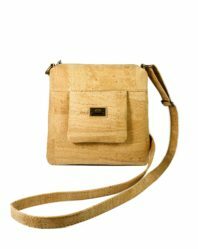 It has one zip pocket and a cork phone pocket inside.